Here we shall see the Learn English Speaking most important thing that is required for Learn English Speaking. If you have everything else but do to passes this then you will find it VERY difficult to Learn English Speaking. And I am going to reveal this fundamental concept to you right here, right now. But before that you must understand a couple of things. Because these are essential. One, I am telling you this from my own experience & my experiments while teaching learning English Speaking my way is not THE ONLY way. There might be many other ways by which people learn to speak English. I dont know about any other thing that helps you, as much as the concept I am going to reveal. So either you can take it or you can leave it. Secondly, remember that most basic, most fundamental & moat important things are simple! Always. So you must believe in me when I am telling you that this is THE fundamental concept everyone must master to speak English. Now before revealing the ultimate factor is speaking English, Lets take a quiz. Ill ask you questions & see if you can guess the correct answer to it. I have listed 5 things below. You have to chose one fundamental thing that is necessary for you to speak English with anyone anywhere. And remember that 99% of people make mistake in closing the right answer to this question. So lets see, if you get it right or not. So Here are the five things. And only one of these in critical for you Learn English Speaking. Take a piece of paper & write your answer on it. OR simply keep it in your mind. Its time to reveal the most fundamental thing needed for Learn English Speaking. If you guessed that it no.5, or no.3, then you are wrong. It is the confidence to speak. This is the answer to all of your Learn English Speaking Problems. Just try to have everything except confidence. And youll find that you dont or you cant Speak. 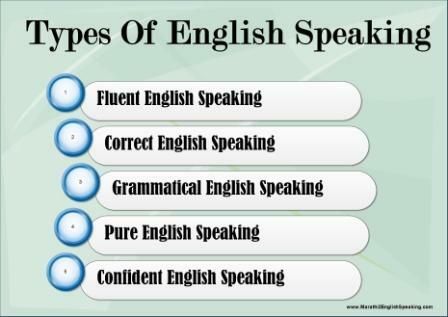 But if you have confidence then even though your grammar is NOT perfect, still you could Speak in English with others. I am assuming here that you do have basic knowledge of English language. So once you have it, then confidence is the thing that helps you greatly in speaking English.